Santa Barbara is the right location for high craggy mountains and golden beaches albeit with tar and kelp. The weather is so good it's almost boring. I couldn't wait to leave and then I could hardly wait to come back leave arrive leave arrive the often perfect weather of Santa Barbara rules! . . . but here I am again. 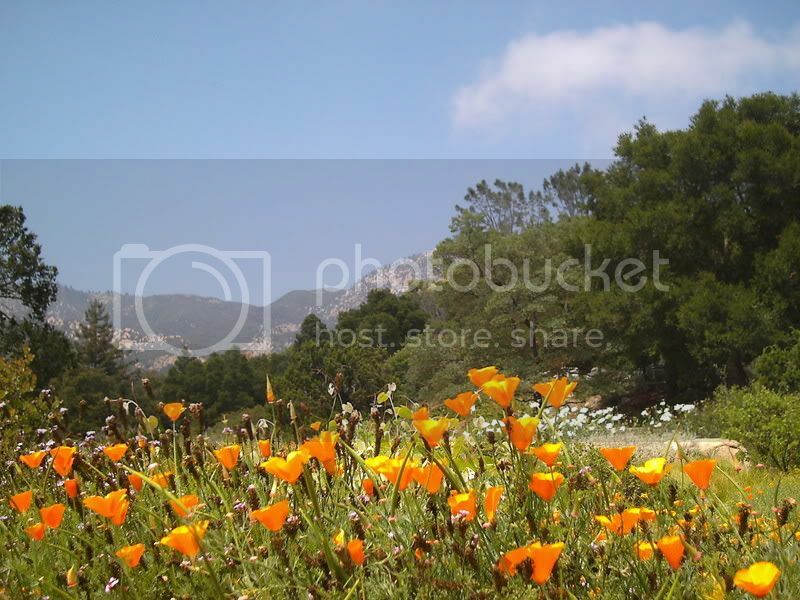 It is difficult to imagine that the little in-law in Mission Canyon that the Canadian Princess and I rented is a ten minute walk from this picture taken in the Santa Barbara Botanical Garden (well it is). Our California State Flower! 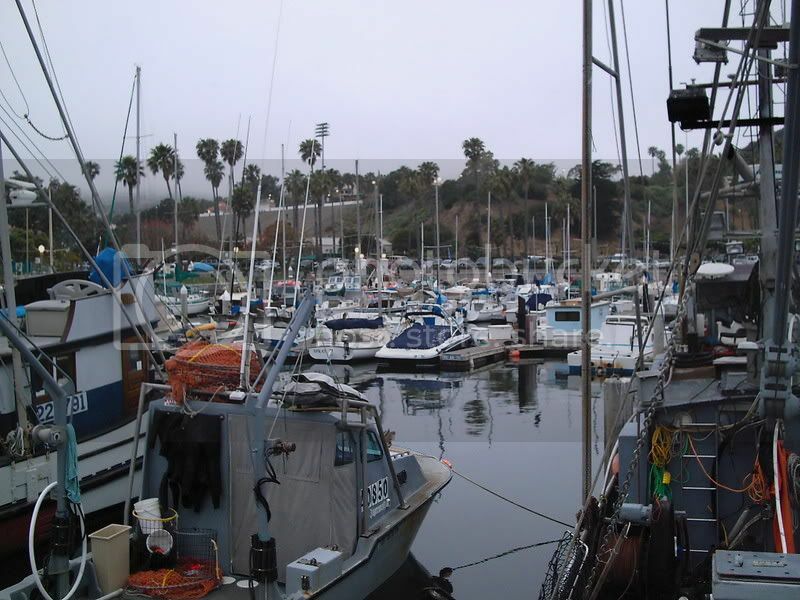 Most photographs of the Santa Barbara Harbor feature a veiw of Santa Barbara's own Riviera much like the one the French have tried to mimic (not in this picture). Saw the doors in La Playa stadium in the background in the summer of '68. This is the corner of State and Cota streets in beautiful downtown Santa Barbara-land the epicenter of the "neo colonial Iberian" look . . . red tile and cream to pink stucco to the sea . . . Santa Barbara . . . why would any one want to leave? Well here's a possible reason up north there's a city called San Francisco that's so free and rebelious that not many can get a handle on it until along came tribe SF . . . and of course a few blocks up is a must stop for the homeless and avid readers the Santa Barbara Public Library . . . did this trip the google alert Chris? . . . There is nothing to say just to bring the back porch home with cuttings that thrive in a mild Santa Barbara climate . . . . whimsical pots n' crocks . . .